There's stiff competition for cloud security experts, but finding yours may actually be easier than you think. With roughly 1 million-plus IT security jobs out there in the market, approximately 5% of them are cloud security positions, estimates Eddie Borrero, chief information security officer and enterprise information security and head of global customer support for recruiting firm Robert Half International. And hiring for these cloud security positions is tough, especially when you consider the steep shortage of cybersecurity workers overall, Borrero notes. For example, cybersecurity training organization ISC2 forecasts a global shortfall of 1.8 million cybersecurity professionals by 2022. "Traditional security needs to do an uptick in skills, as companies move their data and technologies to the cloud," he says. 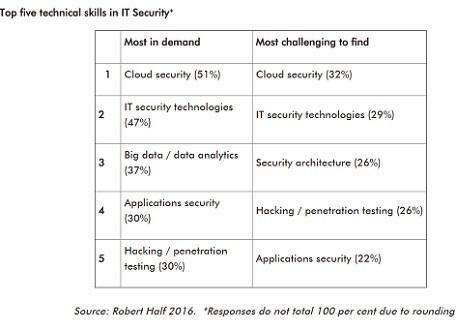 In a 2016 Robert Half survey of UK CIOs, 51% of respondents listed cloud security as the No. 1 technical security skill that is in the most demand, yet 32% of survey respondents noted it was the most challenging to fill. But as CISOs and hiring managers feel the pressure to find what they believe to be a need for a team of cloud security experts, Borrero offers a different perspective to address the problem and potentially create an easier workaround. Here are six actions he recommends. Does everything here really need to require six or more clicks to read? I've come to several posts here lately that require me to click to the next page, only to find two or three short paragraphs on each one. At some point, the benefit from the extra ad impressions you get are going to fall off. I'm already becoming reluctant to bite at a good headline from your site because I know I'll be needlessly clicking through to read the whole article. Some content lends itself to a multi-page format. But the deciding factor should be readability for users, not...whatever you're doing here.